Does the busyness of the day take you off your healthy eating track? Do you mindlessly chomp chips or crackers, inhale what’s on your plate, or find yourself suddenly in line at the drive-thru? Is an upset, or even boredom, too often followed by an eating binge... followed by shame? Emotions, even subtle ones, can easily dictate eating patterns when we’re not looking, creating habits of unhealth. Food is a strategy we’ve developed to soothe the challenges of the day and one that can create a vicious cycle of feeling bad, eating bad, feeling worse, eating worse, giving up. Ugh! Wouldn’t you love to get in front of this, to not have emotions be the main course on your plate, to change those unhealthy eating patterns, and to love yourself at the same time? 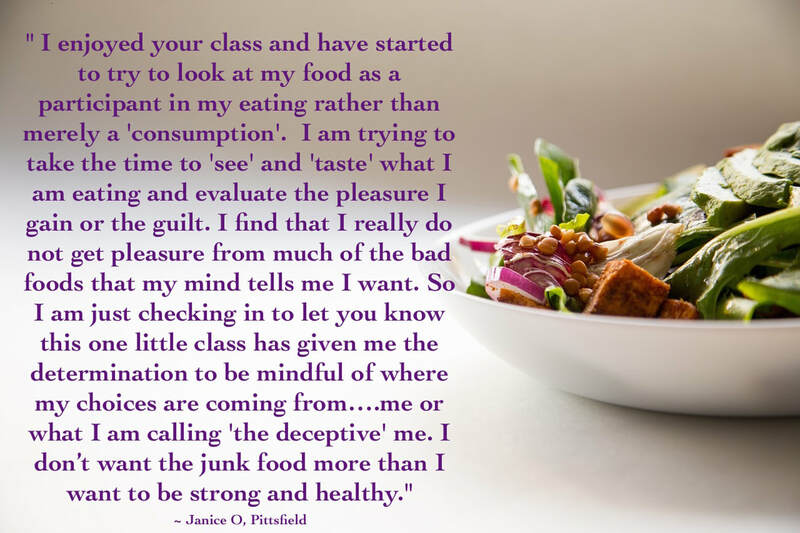 Or how about learning how to feel completely in control of your eating without it consuming your time, energy, and attention; where it became second nature to eat until you felt good and then no need for more? Get to know the everyday situations that have you eating without a lot of awareness. Develop a realistic plan to support a healthier and happier you, where diets never needed again. Food can be our friend, and a nice one at that! In the meantime, click here for your personal coaching session. 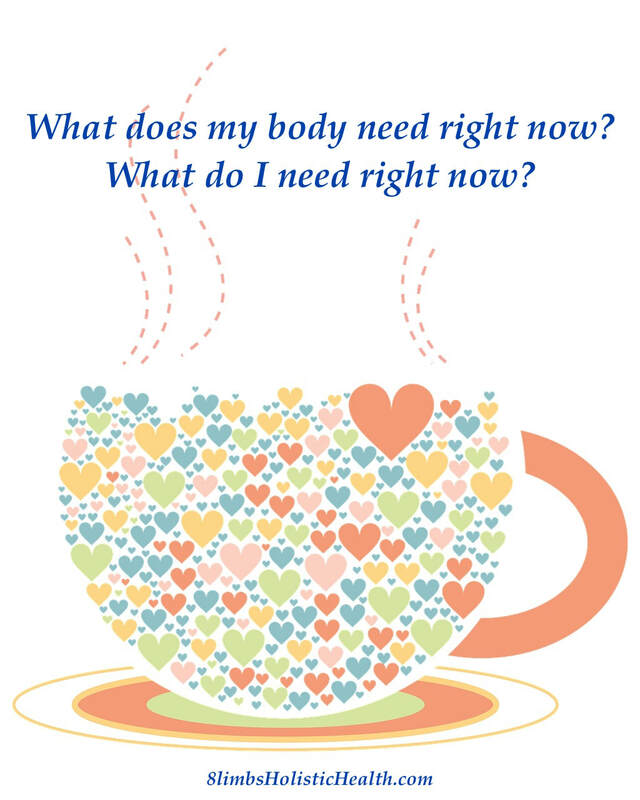 Connect your relationship to food and self with awareness, love, and health. 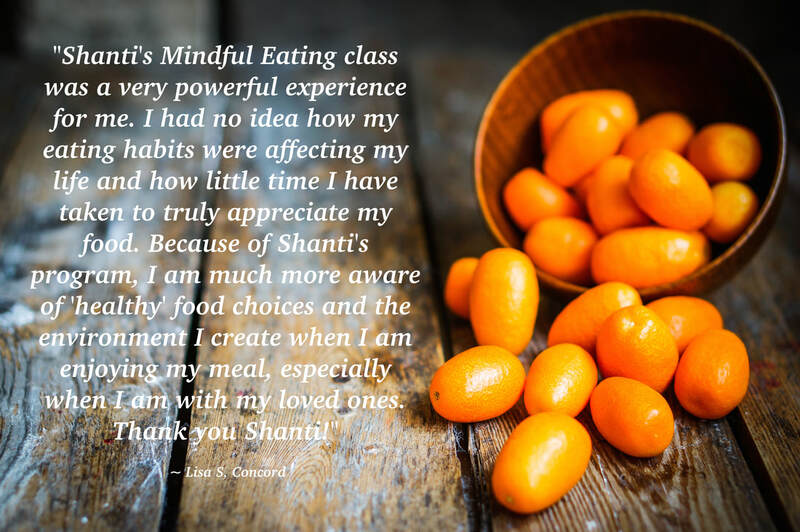 Attend the next Emotional Eating workshop and watch your relationship to food change from regret and self-deprecation to freedom, awareness and connection. Let your whole self be nurtured as you learn to work in harmony with your health and weight goals every day, with every meal. Your journey to freedom with food can begin right now! Take the bitterness out of the bite.